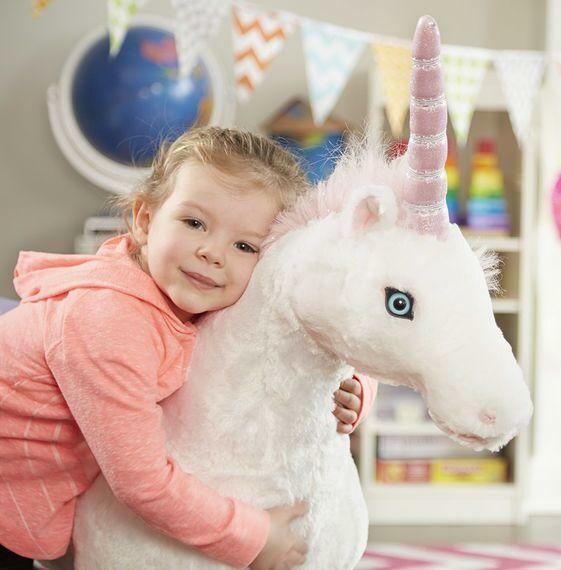 This graceful unicorn will prance right into any child's collection -- and heart! With its pretty pink mane and tail, both scattered through with shimmering silver strands that catch the light, this enchanting friend is sure to become a new favourite. Additional irresistible details include super-silky plush fur, satin star decorations, beautiful blue eyes, and a soft, shiny horn. Well-made, darling unicorn that made our 4-year-old's eyes light up on Christmas morning! She sits on it and the legs are strong enough to hold her, although not her older siblings. After they all sat on the unicorn the legs tilted a little bit and the unicorn fell over but we just pushed them back out and it stands fine again. 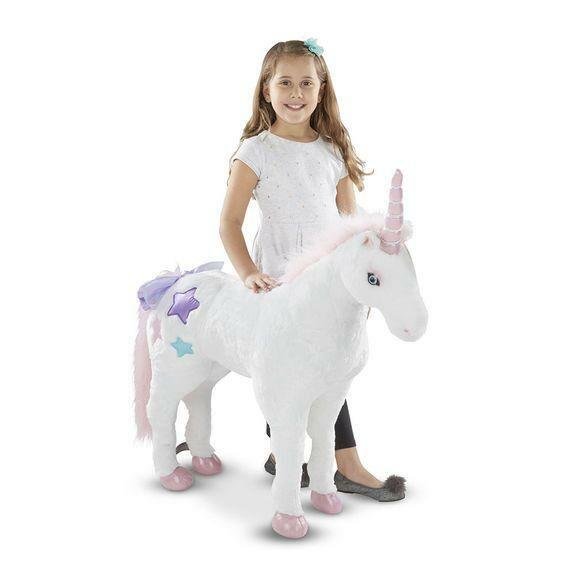 The unicorn is sturdy but light enough for the 4-year-old to lug around the house. We would definitely buy again! Nice and sturdy for a stuffed animal. Highly recommend it. Unicorns are magical, mystic and fun! Love it! Great Quality, stands tall and strong perfect for my girls. Contact Sharon via whatsapp to order. Naartjie kids... the original name in fun clothing. Naartjie was established in 1989 in cape town, south africa, by clothing designer and mom of three boys anne eales.